There is no reason why you can't take all the liberties you wish with the ball and plane. The variety of types mentioned in the early part of the book arc drawn simply by building an undcrstructure that is wide, square, long, narrow, or anything you wish. You have the basis of construction, so now just try some variations. Look about among the people you know and those you sec around you. Study them with a new understanding. See the combinations created by nature. Look from hairline to brow, then at the middle area from brow to bottom of nose, and finally to the bottom of the chin. 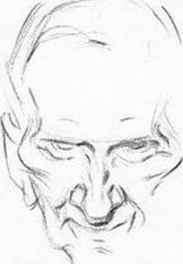 Look down the middle line of a face; study what you sec on each side. Once you know how the lines of construction are set up in a head, you can quickly analyze faces and skulls. Always look first for the bony shapes, and the location of the features. Then look for the flesh formations in the cheeks, around the mouth, and around the eyes. Such formations can be easily indicated. See if the cheekbones arc prominent and accented by shadow shapes under them. Look at the nose and the formation of the nostrils, the lips, and the creases between the lips and checks. 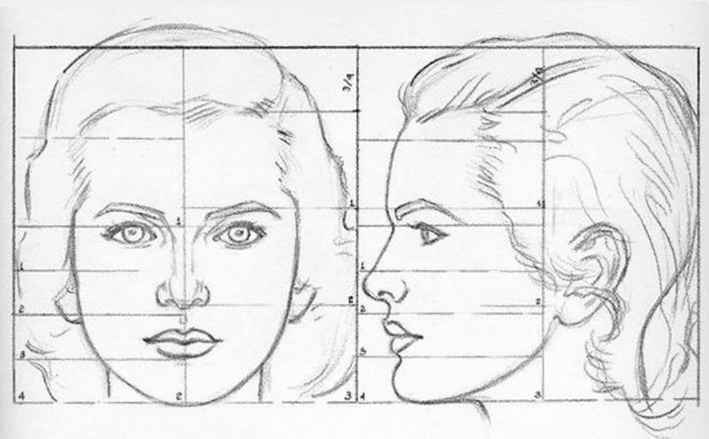 Follow the shapes down into the chin and along the jaw line. These general characteristics, along with the whole shape of the head, arc more important than a photographic delineation of each square inch of surface. Older people arc more interesting than the young for this sort of study, since the characteristics have had a chance to develop. Rhythm in drawing is something you feel. Rhythm must be closely associated with design, and every head has design. There is a related flow of line, one line working with or opposed to another. Rhythm is freedom in drawing, freedom to express shapes, not meticulously, but in harmony. Rhythm is the hand working with the brain more than with the eye, the feel of the thing rather than the look of it. In drawing, rhythm comes with practice just as it docs with a golf club. No one can tell you how to acquire it, but as you become conscious of it, you l>cgin to recognize it when it is there. To try to describe rhythm in drawing let us say that the artist is feeling the simplified shape of the whole thing as he draws every part of it. You see his hands swinging over the paper before the pencil goes down. He feels the stroke before he makes it. Rhythm need not always be curves. Curves may oppose blockiness. Rhythm might be an accent where it will do most good. It is more often the suggestion of the form rather than the closely scrutinized detail of the form. Here again the artist leaves the camera far behind, for the camera must record detailed fact, and only when rhythm is set up before it can it catch this elusive quality. The onlooker senses rhythm in your work even if he cannot consciously define it. You sense rhythm in some handwriting, while other specimens are cramped, jerky, and scrawly. Some people have natural rhythm; others must strive to acquire it. Take the pencil in the palm of your hand between the thumb and first finger rather than holding it as you would to write between tight, cramped fingers. Swing it over your paper, using your wrist and arm and keeping your fingers still. That is the way to draw a rhythmic line. 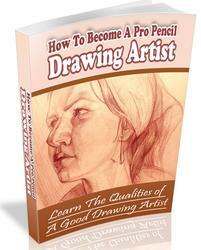 You can train your hand to draw, instead of using the fingers. Movement becomcs associated with the whole arm rather than with the fingertips. Draw things large for a while. George Brigman, the famous anatomy teacher, used to illustrate his lectures by drawing with a crayon on the end of a four-foot stick. 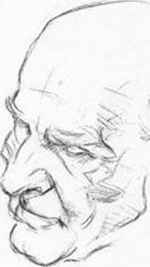 Some of his anatomy drawings were many times larger than life, and they were beautiful. Rhythm is all about us, but we must train ourselves to see and recognize it. It might be described as the longest line, straight or curved, that you can make before the direction of the edge changes. A long direct line is more expressive than a myriad of little whiskery lines. An arrow in flight is a perfect example of rhythm. The movement of water or waves is another. The arc of a baseball in the air, the way a fielder drops his hands in the line of flight as he catches the ball, the movement of the forms in a woman's hair—all have rhythm. We might call it the uninterrupted flow of line which seems to reflect the movement of the artist's hand. I cannot tell you how to acquire it, but I do believe you can. Awkwardness comes from lack of training; rhythm from trained organization, or coordination, perhaps both-knowledgc and ability working together. Rhythm is one thing no camera or projector can ever give you. You feel it and strive to express it, or you don't. Swing that pencil over your paper just to draw a free line. Nobody ever does it too well the first time he tries. It is interesting to search for the rhythmic lines in faces. You will find rounded or curved lines in opposition to angular and hlocky lines. The blocky treatment helps to get away from the tight photographic approach. Then the head looks drawn, not traced. There is charm in curves but square forms have weight and solidity. You can produce happy results by combining the two instead of merely copying every waver of every edge in exact outline. In this way you set a feeling of design, and at the same time render solid form. How to draw head anatomy? How to draw the human head techniques and anatomy? 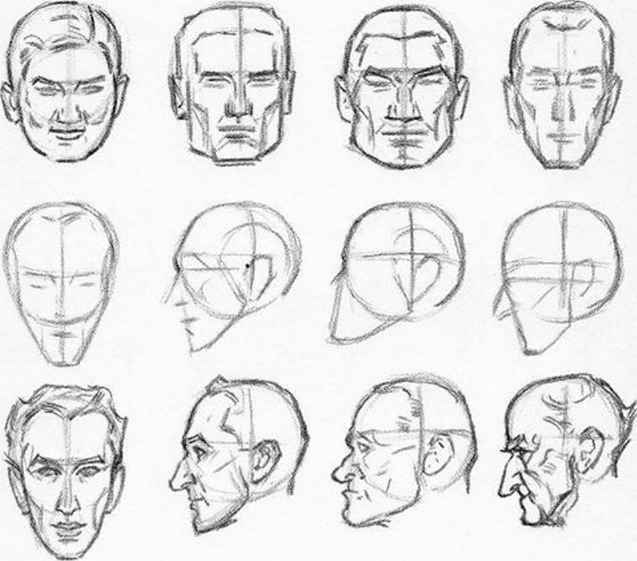 How to draw a human head using shapes? 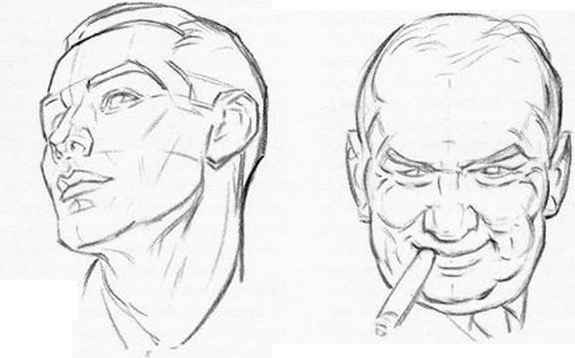 How draw comic head from all angles? 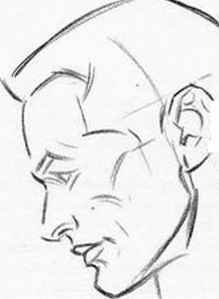 How to draw a sideways head? How to draw humanhade step by step? 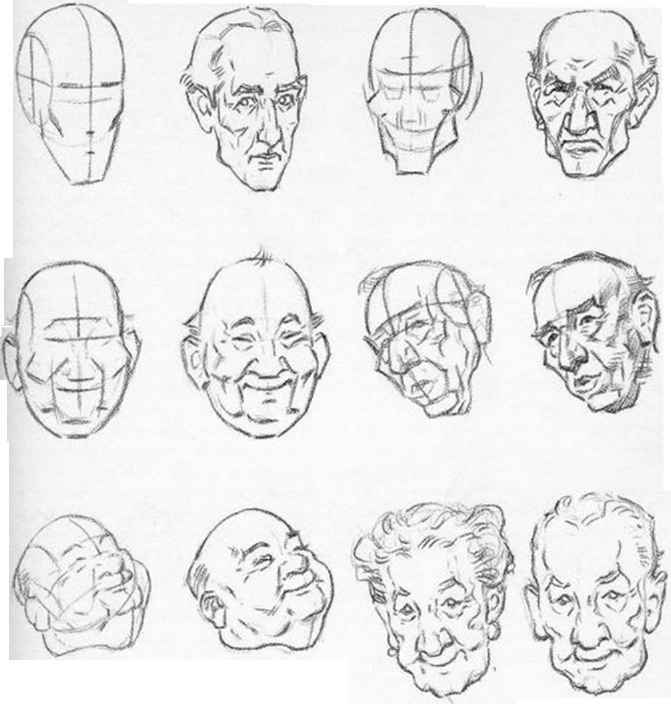 How to figure draw heads? 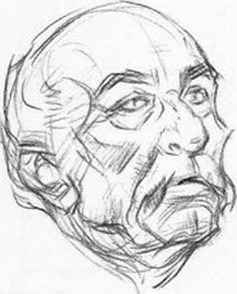 How to draw a caricature step by step? How to create manga drawing head? How to draw caricatures tutorial? How to draw different kinds of heads? How to draw human head sideways?